How do I install Windows 8 Consumer Preview in VMware Player? 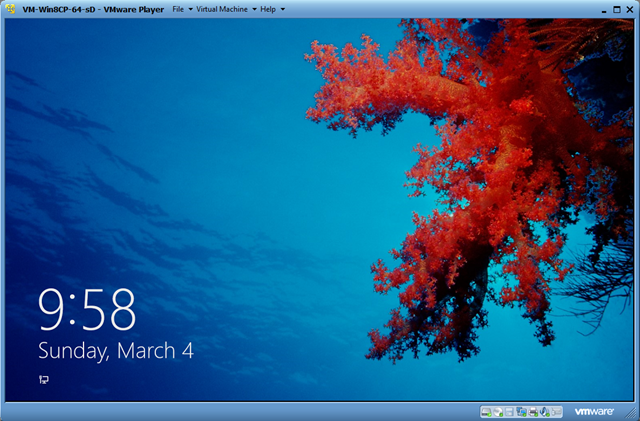 Windows 8 Consumer Preview works great in a VMware Player virtual machine, but is a little tricky to install. You need the latest version of VMware Player, a downloaded ISO image from Windows 8 Consumer Preview ISO images and a product key – also from that site. Detailed installation instructions are given in the post Windows 8 on VMware Player on my This ‘n That blog. Also see my post Windows 8 Consumer Preview – First Impressions for additional thoughts.